Please note: The Cost of Goods Sold and FBA Inventory Valuation features are available as part of our Starter plan and higher. 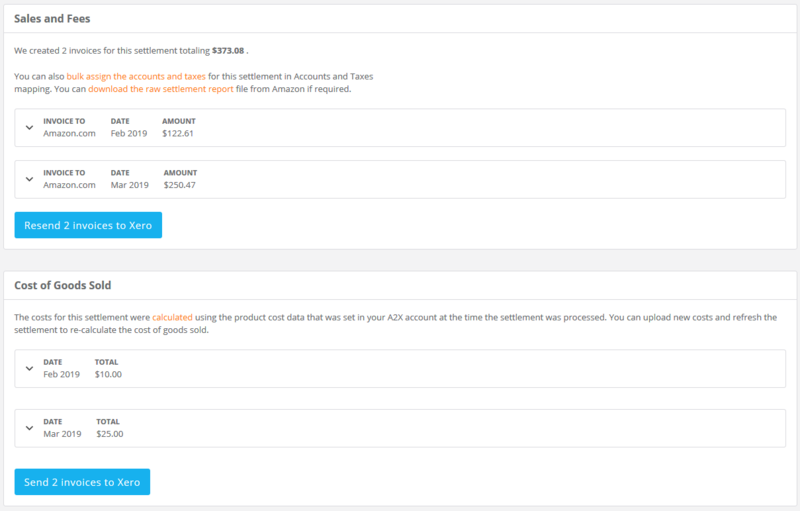 The Cost of Goods Sold entry that A2X sends to your accounting system will deduct the overall cost of goods sold value for that period from your inventory asset account balance and allocate it to your cost of goods sold expense account. The Inventory account is a little different. The default Inventory account in accounting systems is generally reserved for the accounting systems internal inventory functions, therefore it is best to create a new Current Asset account* called Amazon Inventory in your accounting system. Please note: You can account for COGS on one level or expand to other levels, if you business requires this level of tracking. There are two methods to provide A2X with your cost price data. The first method is explained HERE, and it is performed via the Manage Costs Tab. The second method is explained HERE, and it is meant for more advanced costs uploads via .csv file upload. After you enable COGS in the A2X settings, upload your costs and configure your asset and expense accounts, you can click Review to see the details of the COGS for that period, and send the data to your accounting system. The COGS entries will appear below the usual Sales and Fees entries, and you will see one or two entries depending on whether the settlement period spans more than one month. Each Amazon settlement is processed, the quantity of product sold is calculated and the cost value of the product is totaled into invoices in the same way as the sales and fees. You can configure A2X to include or exclude the non-Amazon shipments, which allows COGS calculations for non-Amazon sales shipped from Amazon FBA. You can upload different cost data and refresh a settlement to have A2X re-calculate the new cost of goods sold values by clicking Refresh. At an accounting report level, a balance sheet report in your accounting system will show you your closing stock balance as at the end of any month or period, and your profit and loss report or income statement will show you the total cost of goods sold expense. When you send the COGS entries over to Xero, they will be in Draft Bills. All you need to do is click Approve! just like the sales entries, but split between the various inventory and COGS accounts. You don't need to do anything with the COGS entries once they reach QuickBooks. Tip: Click HERE to head over to our COGS & Inventory support center where you can find more articles relating to the use of A2X's Cost of Goods Sold and FBA Inventory Valuation features.